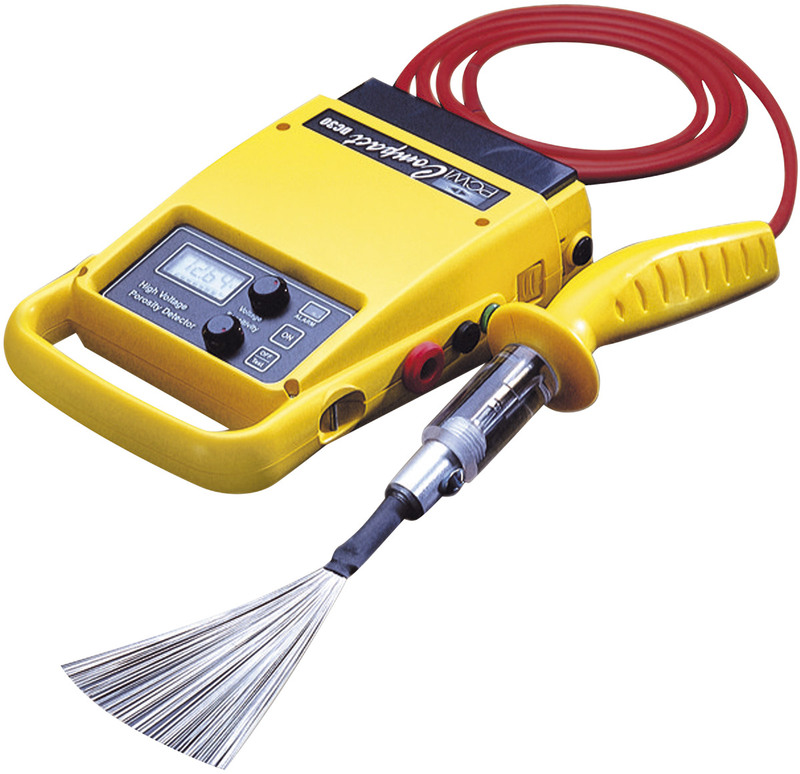 The porosity detector series DC Compact are used for easy detection of pores and flaws in electrically insulating layers (for example lacquers, enamels, plastic coatings) on all metals or concrete. DC Compact instruments are particularly useful in the production and out in the field, eg. for pipelines, storage tanks or enameled construction parts. The portable porosity detector DC Compact consists of a fully insulated plastic housing and a the high voltage probe incl. brush. Using a special strap, the device can easily be carried, so that both hands are free for testing. The porosity test is performed with a low-energy high DC voltage. Depending on the device type, the test voltage can be adjusted continuously from 0 to 15 kV or 30 kV. 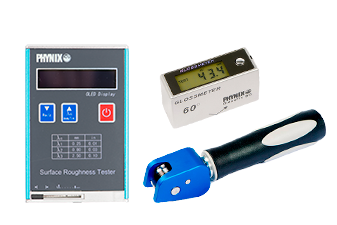 The test voltage is determined exclusively by the thickness of the layer to be tested. Therefore the film thickness should be measured before testing in order to prevent high voltage damage. A reference table which is part of the delivery content helps to determine the best test voltage which depends on the layer thicknesses. The test procedure is performed by slowly pulling the brush with ca. 30 cm/s over the layer to be tested. A defect is indicated by sparkover and additionally by an audible and visual signal. The sensitivity is adjustable. For optimum test results different brushes are available like flat brushes and round brushes for internal and external testing on tubes. 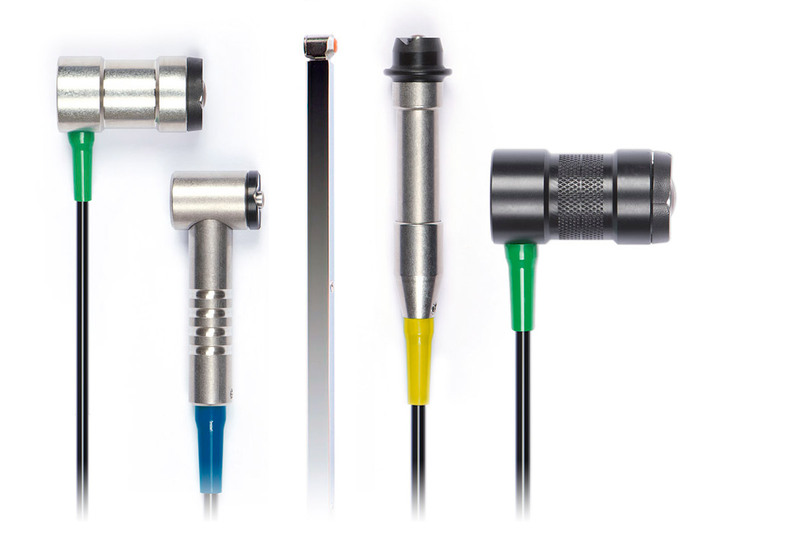 Outer tube spiral electrode with ball head connector. For outer tube diameter 50-1470mm. For spiral electrodes, the 450mm extension is required (included in the Pipeline version). When ordering specify the exact pipe outside diameter. Inner tube brush electrodes with 50 mm long brass bristles; for tube diameter of 50-510mm; the brush diameter is approximately 25 mm greater than the tube diameter. When ordering specify the exact pipe inner diameter. Outer tube brush electrodes with 50 mm long brass bristles; for outer tube diameter of 25-510mm; brushes inside diameter is about 10 mm less than the outer pipe diameter. Depending on the size, the brushes have 2 to 4 guide rollers. When ordering specify the exact pipe outside diameter.